Increasingly, people are looking for a more natural approach their health care. 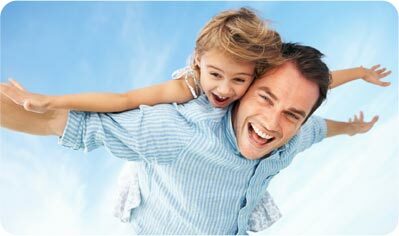 Your Doctor of Chiropractic offers a safe, effective and drug free means of doing so. Chiropractic specialises in the diagnosis and treatment of disorders of joints, tendons, ligaments and nerves of the body, particularly those of the spine. Chiropractic is the third largest and fastest growing health care sector. Today’s chiropractor is a highly qualified doctor that has recieved a degree from an accredited chiropractic college. Additionally, they must pass federal and provincial examinations in order to obtain licensure. In Canada, chiropractors are then further required to complete continuing education to keep up to date with any advances in the field. In British Columbia the profession is regulated by the British Columbia College of Chiropractors. Published research is now explaining the benefits that millions of people have enjoyed from chiropractic care. What to Expect When You See Your Chiropractor? In order for your chiropractor to properly treat you, he or she must first understand what your problem is. In our office we conduct a detailed consultation. Your chiropractor will take the time to listen to you and find out everything you can tell us about your problem. Then we’ll give you a thorough examination, including orthopaedic, neurologic, and chiropractic testing. If necessary, we can take x-rays. We have digital x-ray facilities on site. Digital x-rays give instant results, reduce the need for re-takes, minimise x-ray dose, and as they don’t require film or developing chemicals, they’re friendlier to the environment. After the examination, we can tell you exactly what’s wrong and give you a “game plan” to getting you back to normal. Treatment varies according to the problem but can usually be adapted to anybody, including children, pregnant women and the elderly. If the problem is something we can’t help you with, we’ll refer you to the appropriate specialist. Rest assured we’ll do everything we can to get you back to your regular life. But don’t take our word on it, read what our patients have to say.